A Soprani 48 Bass Accordion. 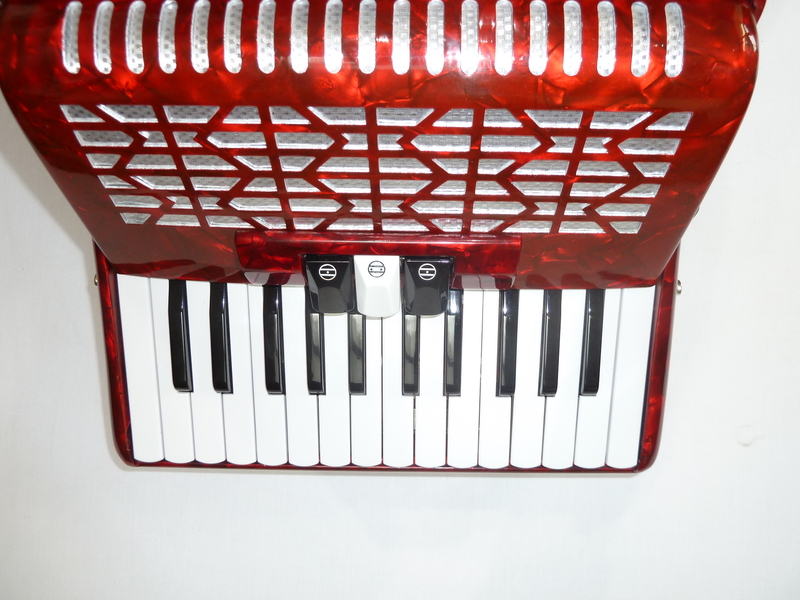 This lightweight and compact entry level accordion, is designed and produced under licence in China for one of our major suppliers based in the Italian town of Castalfidardo. 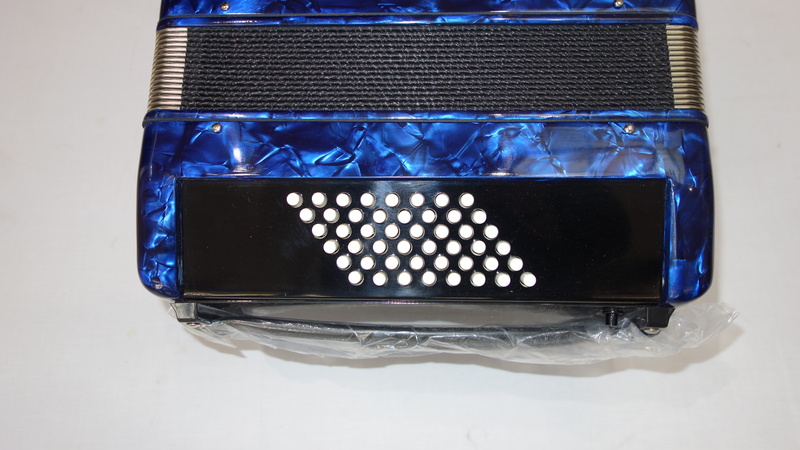 This accordion represents a substantial step up in quality over many other Chinese built accordions, and boasts plastic valves, as well as upgraded treble and bass actions amongst other improvements. 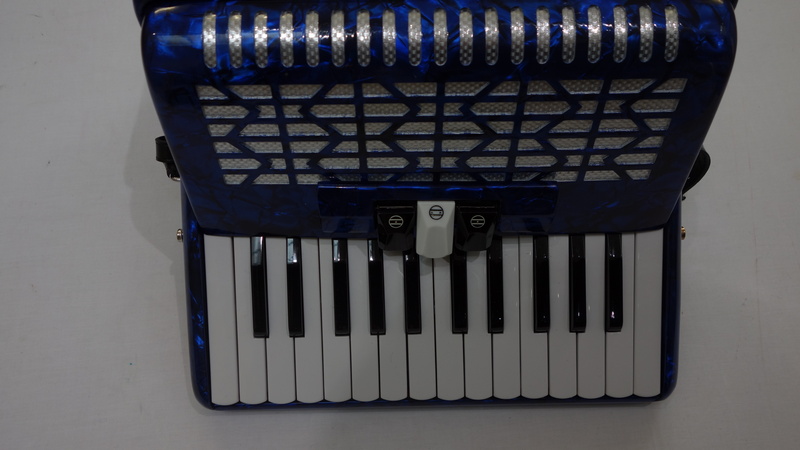 This solidly constructed student model accordion would be ideal for learning to play on, or as a second accordion for traveling with etc. 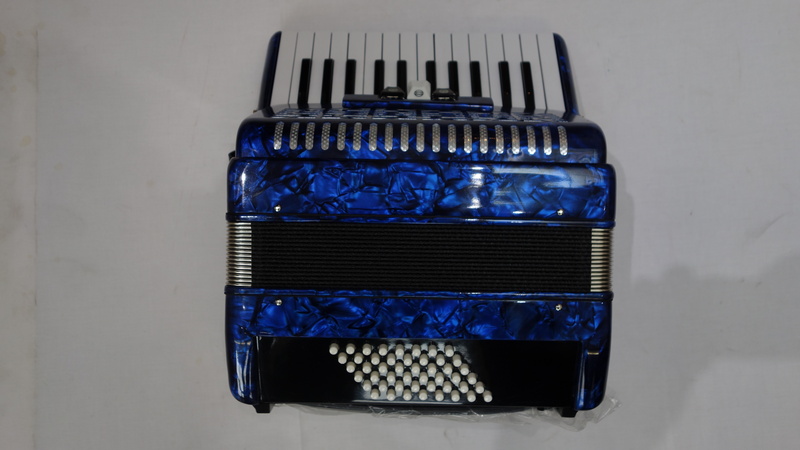 This accordion features a bright two voice tremolo on the treble side, and a rich, powerful bass tone, the Soprani 48 bass accordion is ideal for all styles of playing. 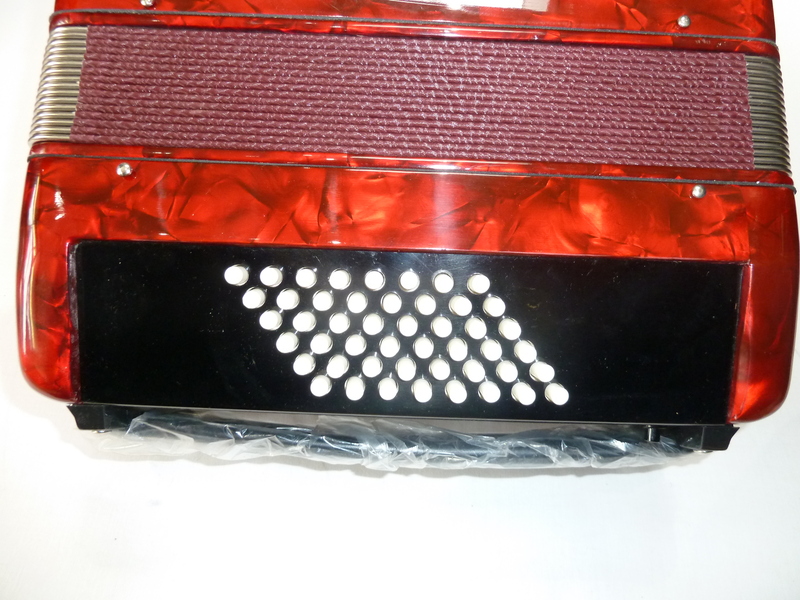 This accordion is available in either a very attractive mother of pearl effect red, or a high gloss black. 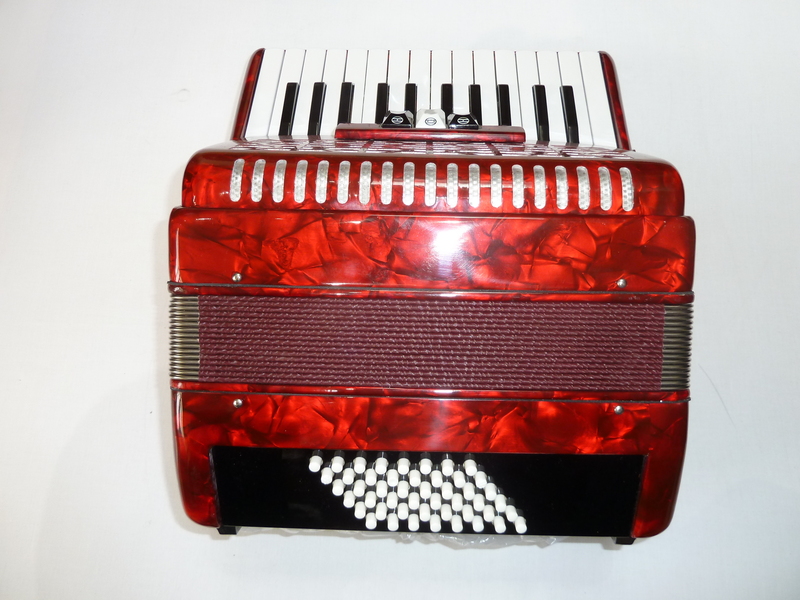 A 0% interest free loan is available on this Soprani 48 Bass Accordion subject to status via the Arts Council. Terms and conditions apply – please contact us for full details. 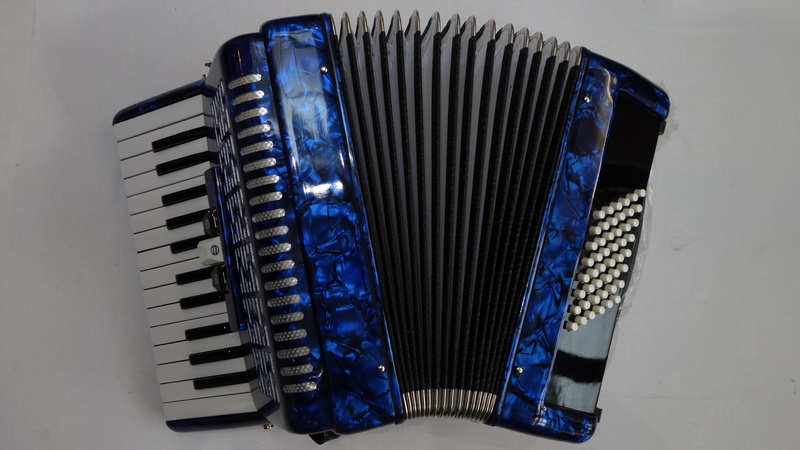 Complete with your choice of either a soft gig bag or a hard case, padded shoulder straps and a one year component parts guarantee. 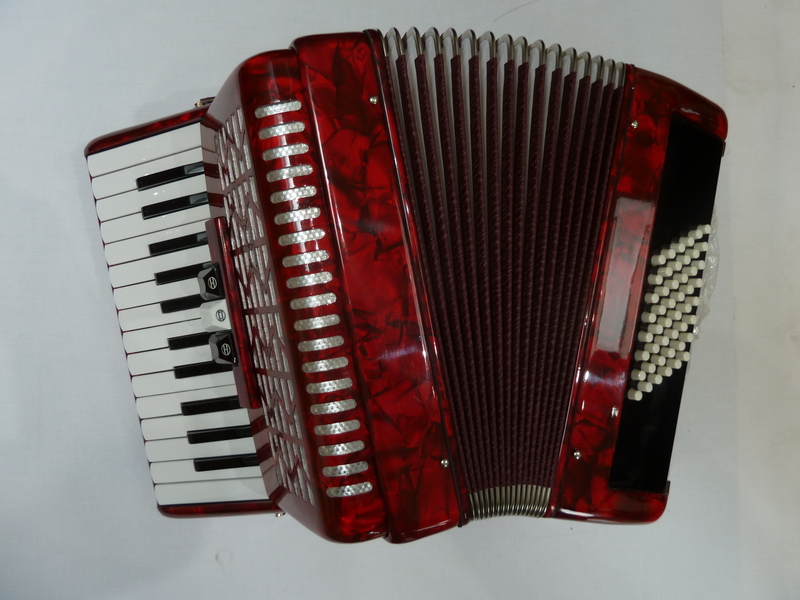 Don’t forget, free delivery of this Soprani 48 Bass Accordion to most parts of mainland UK is included! Weight: 4.99 Kg. - 11.2 Lbs.